The Bucktruck at fullback. Good to see the man back! Looking at the make up of that team, Buckman should be in the forwards. It looks like the absence of one player (Mo'unga) has led to a complete overhaul of the backline (except the midfielders). At least there will be someone to blame. Anyone got a theory on the logic of shifting Dagg to the wing and Havili to fullback? I can only think that David's going to be doing at least some, if not all, of the goalkicking. Otherwise it's a bit of an indictment of all the specialist wings in the squad. Pleased to see Hunt at first five. Let's hope he goes well, because I've got very little faith in McKenzie. 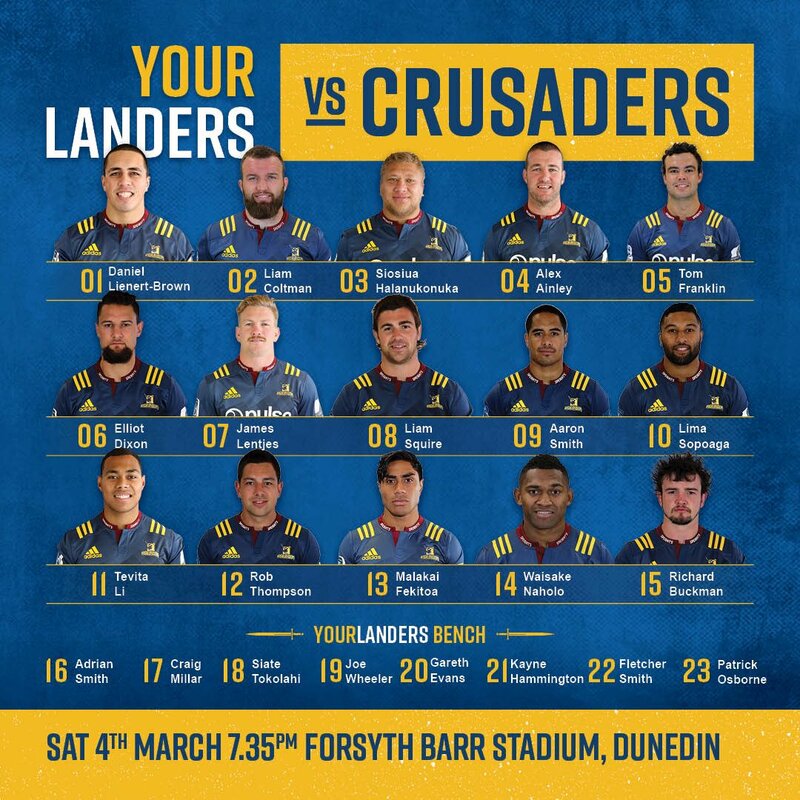 The Crusaders are really short on experienced, specialist wings (they have Ioane, Bridge, Macilai, Mataele, Fifita). Ioane is only just returning from injury and may play for the Knights, but isn't ready for SR; Macilai is out for the season; Mataele and Fifita are uncapped; and George Bridge has only one cap from last week. So even if they've moved Dagg to the wing to strengthen the wings, and not to bring Havili on for his boot, then I can hardly see it as an indictment of all the specialist wings in the squad. It may just mean that they want more experience in this position. So happy Robbie is back. Also very happy that Robertson has gone with Hunt at 10. There's no way Blackadder would take a risk like that. Duluth last edited by @Chris B.
I know he was mostly at fullback in the NPC but did he get any starts for Tasman at 10? How did he go? @Duluth Only one I can remember very clearly was the season opener vs Waikato, where Hunt played 1st five for Tasman and I'm pretty sure Damien McKenzie played 1st five for Waikato. Tasman scraped home if that's any indication and I recall thinking Damien had a long way to go to be an AB first five. Can't remember much about Hunt - don't think he was brilliant. He may have got another start or two before Marty Banks returned from injury. And I'm pretty sure Marty missed another game somewhere - he seemed to be playing injured a lot of the time. One of the Highlanders forwards/frontrowers just injured himself during warm-up. Looked like he won't be back. Couldn't see who it was; maybe Coltman?